Dr. Meyers has advanced training in the area of Orthopedics. He earned a Master of Physical Therapy degree with Distinction from California State University, Northridge. Continuing his education he then earned a Doctor of Physical Therapy degree and a Manual Therapy Certification from the University of Saint Augustine. 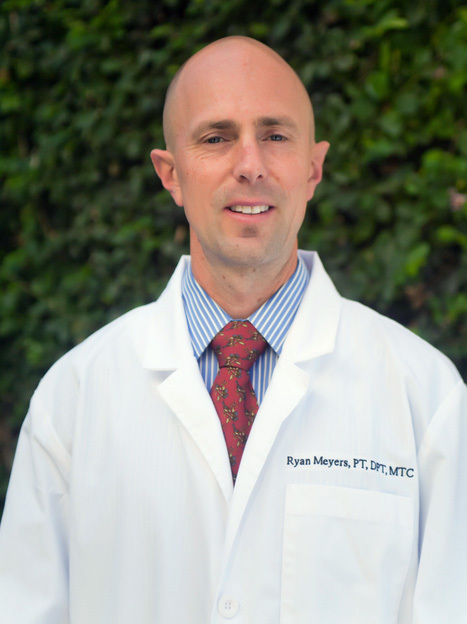 Dr. Meyers is a member of the California Physical Therapy Association, American Physical Therapy Association, and frequently attends continuing education seminars to stay current on the most recent techniques and research available. Cindy is a Board Certified Orthopedic Clinical Specialist who brings extensive orthopedic and manual therapy experience with her to San Buenaventura Physical Therapy. She completed her Doctorate in Physical Therapy in 2005, and graduated with a Masters in Physical Therapy in 1995 from Shenandoah University. In 1995, she also received the Kay Madison Smith Award for Clinical Excellence and the Excellence in Clinical Research Award. Cindy has worked in an expansive list of practice settings and has enjoyed treating clients with a variety of orthopedic and neurological conditions. With her experience as a physical therapist, and her prior experience of more than 14 years as a physical therapist assistant, Cindy brings more than 30 years of clinical insight and excellence to San Buenaventura Physical Therapy. Cindy’s particular areas of interest are chronic pain, spinal dysfunction and Orthopedic medicine. Prior to moving to San Diego Dr. Maurer was an Adjunct Professor in the Doctoral Physical Therapy program at George Washington University in Washington DC and practiced Physical Therapy in MD and VA. Cindy has a long history of collaborative practice with a variety of holistic practitioners to bring the optimum level of health and wellness to her clients. Dr. Maurer collaborates with an emphasis on Functional Fitness: training to improve strength, flexibility, and coordination while performing specific tasks (e.g., running, kick-boxing, dancing, figure skating, golf) as opposed to traditional training that focuses on one muscle group at a time, but may ignore habitual muscle recruitment patterns that may occur during a desired task. Cindy and her husband CAPT Cliff Maurer USN are excited to be back in California and to be able to call Ventura County home.